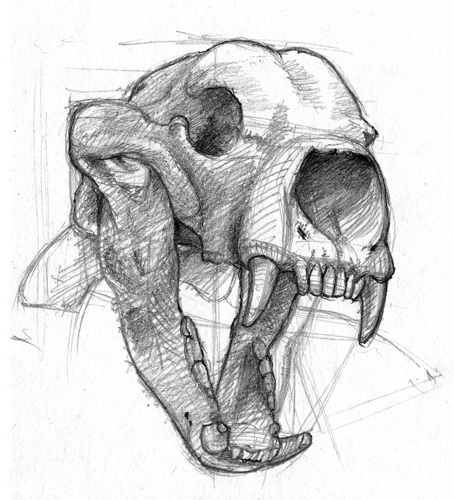 I sketched this skull at the Royal Ontario Museum. This is an example of Arctodus simus a North American bear species that went extinct about 12000 years ago. I loved the ferocious pose.